Our designers have years of experience creating websites that are user-friendly by utilizing the best practices and offering researched and insightful design support to every client. We always keep in mind your vision while designing a website. 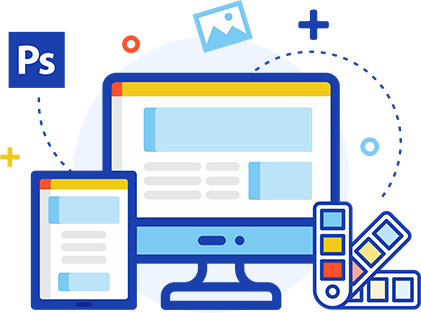 We apply our website designing experiences to enrich your company’s name and image, support your brand, and promote your products and services. All our web designs are original, unique and created by our experienced designers. When your design is compiled and ready, it will illustrate and speak to your customers. The design we make will bring together an amazing experience that will certainly help you grow faster. We want your website to serve your business optimally so we pay close attention to every design we create.